Now, if you have A,K,9 in your hole cards, your potential winning percentage has increased. If the dealer turns over an Ace or King, you’re a winner. 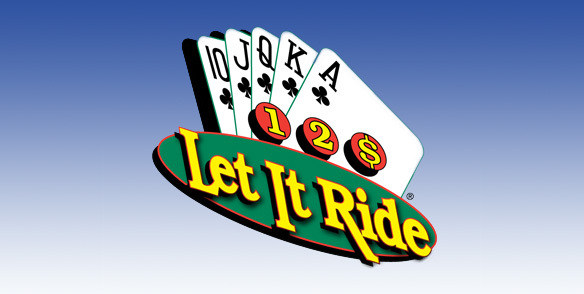 Let it Ride is a slow moving game, and many gamblers become impatient with the amount of money they are winning. In order to increase their maximum potential, they let all three bets ride (even if they have A,K,9). It can definitely pay off, but if it doesn’t, you will lose money faster. The smart choice is to always pull back, unless there is already a winner in your hand. For instance, you have a J,9,2 in your hand. The dealer asks if you want to pull back your bet. You do so, because it’s the best choice, until you see a winner. After the first round, the dealer turns over a Jack. Now you know the last two bets will receive an ROI (return on investment), so you stay the rest of the way out. Listen, if you don’t have patience, this is not the game to play. I’ve seen people have potential straights and flushes several times throughout their stay at the table. Needless to say, none of them hit and a lot of money was lost. If this happened 10 times and you pulled back your first 2 bets each time, you would save £200. This is how you truly stretch your money when playing Let it Ride.